Honeywell’s Tuxedo Touch is a great high resolution touch screen control panel that provides you with the most user-friendly and affordable way to tie all of your home’s technology together. You can control things like security, cameras, Z-Wave enabled thermostats, lights, locks and shades. 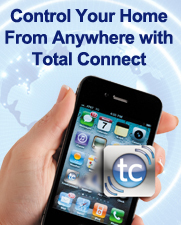 Control your Idaho security system and watch live camera footage from anywhere using your mobile phone, tablet, laptop or home computer. 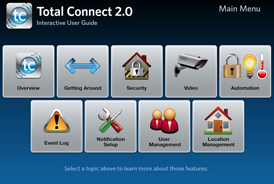 With Honeywell Total Connect Video Solutions, you can view live video on up to six cameras at one time, receive images of specific activity occurring around the interior or exterior of your home and more from any mobile web device. To learn more about our video solutions, please click here. Honeywell’s LYNX Touch is a dynamic, lifestyle-enhancing system that protects your property and possessions and lets you control your security system, thermostats, lighting, door locks and more – all from a full color touchscreen. All systems are completely customizable so you can get a perfect Idaho security system to work for your lifestyle.